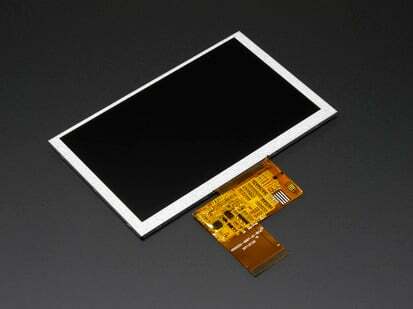 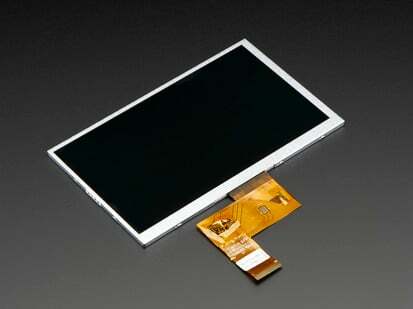 This 7.0" TFT screen has lots of pixels, 800x480 to be exact, an LED backlight and a resistive touchscreen overlay. 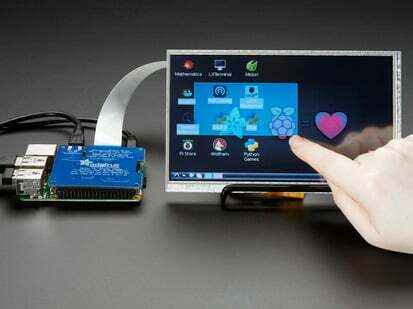 Its great for when you need a lot of space for graphics or a user interface. 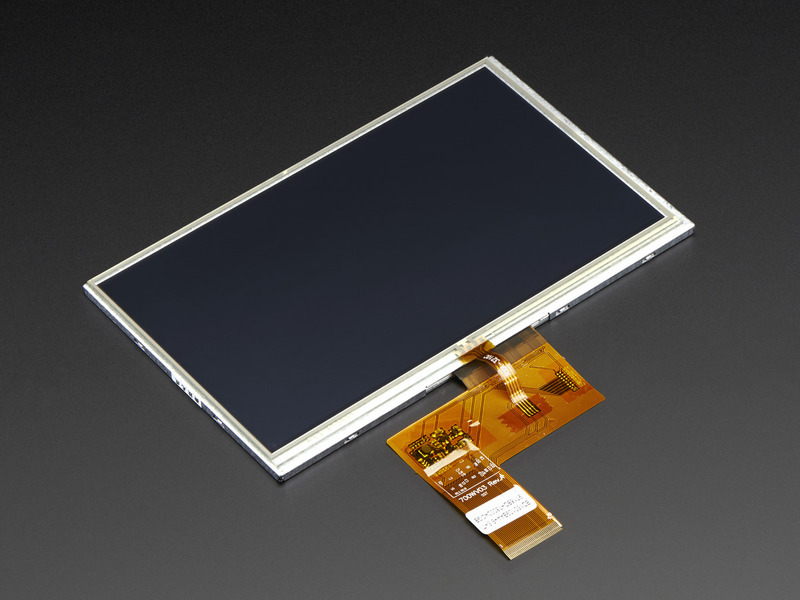 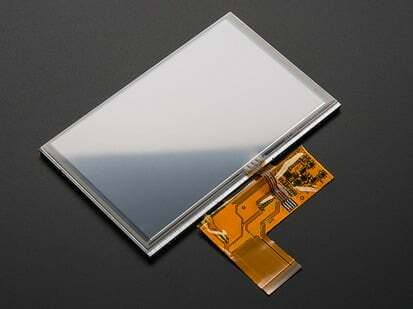 These screens are commonly seen in consumer electronics, such as miniature TV's, GPS's, handheld games car displays, etc. 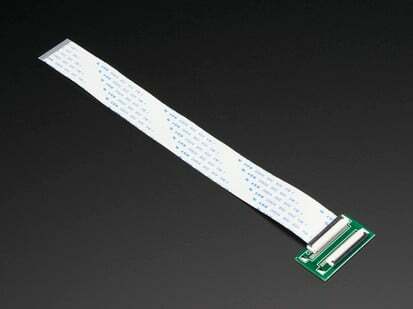 A 40-pin connector has 8 red, 8 green, and 8 blue parallel pins, for 24 bit color capability. 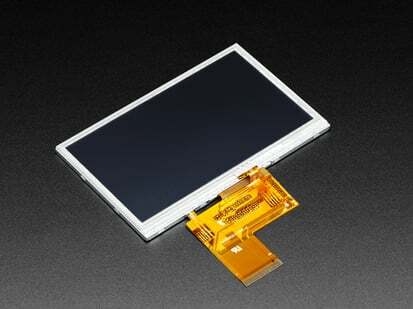 This version has a 4-wire resistive touchscreen attached It's exactly the same TFT display as PID 2353 but with a resistive touch panel so it is a little more expensive. 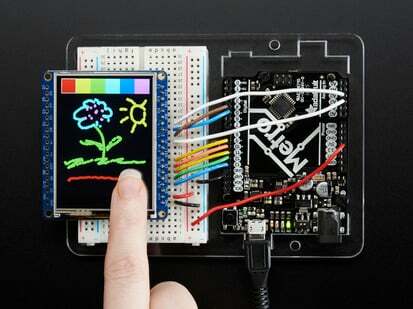 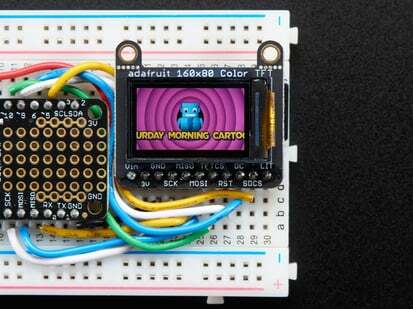 This is a "raw pixel-dot-clock" display and does not have an SPI/parallel type controller or any kind of RAM. 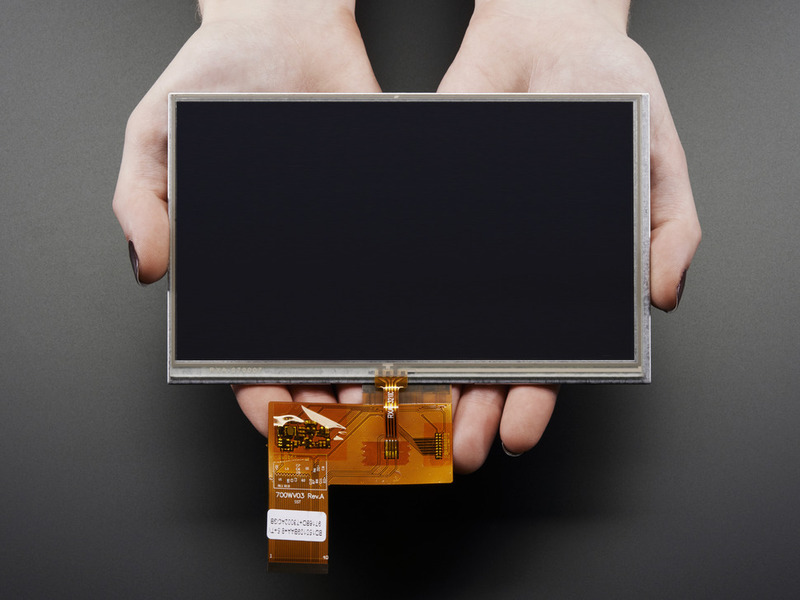 The display is supposed to be constantly refreshed, at 60Hz, with a pixel clock, V sync, H sync, etc. 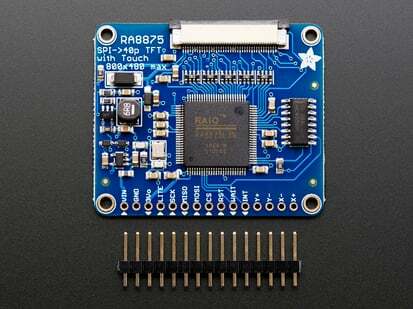 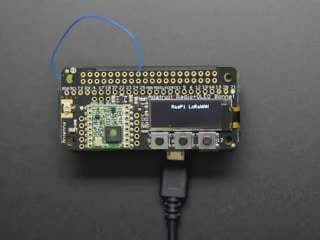 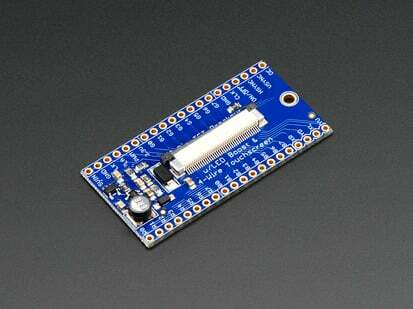 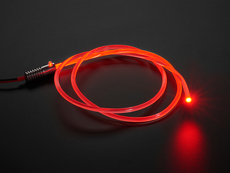 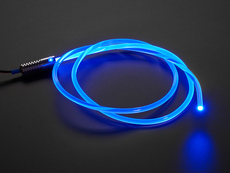 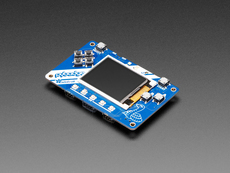 There are some high end processors such as that used in the BeagleBone that can natively support such RGB TTL displays. 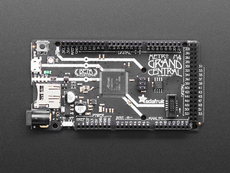 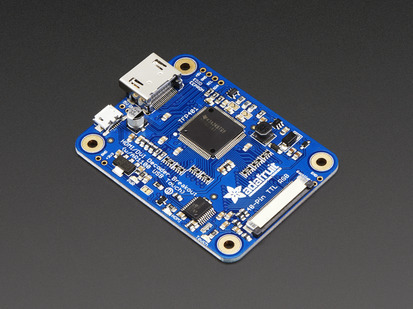 However, it is extremely rare for a small microcontroller to support it, as you need dedicated hardware or a very fast processor such as an FPGA. 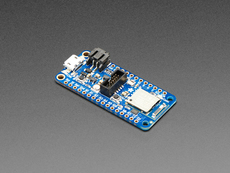 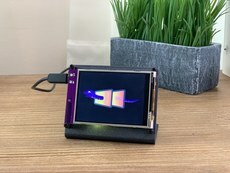 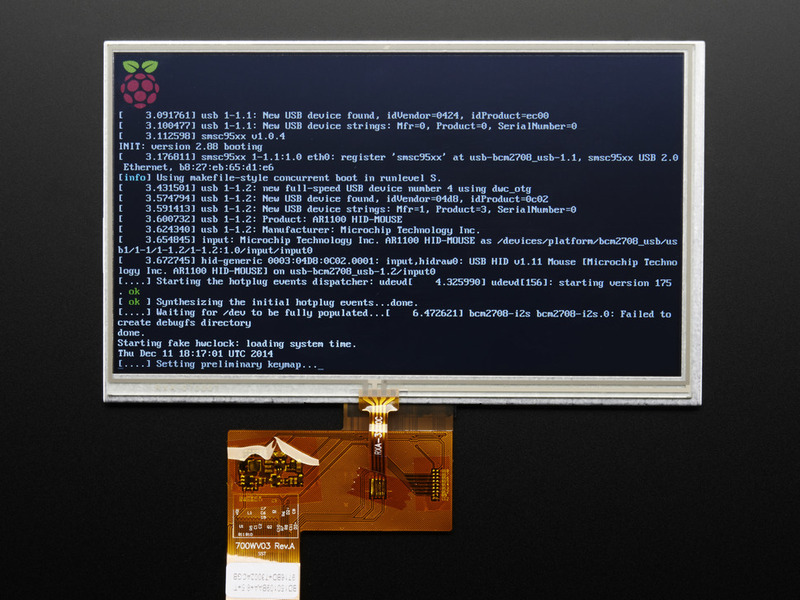 Not only that, but the backlight requires a 125-150mA constant-current mode boost converter that can go as high as 9V instead of our other small displays that can run the backlight off of 5V. 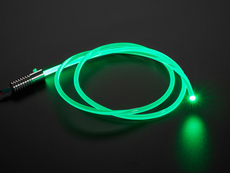 Dimensions: 164mm x 100mm x 5mm / 6.5" x 3.9" 0.2"